A friend of mine sent me a copy of Holy Roar by Chris Tomlin and Darren Whitehead. He asked me to write a review of it. My friend is a worship leader and his church has been using Holy Roar as a guide for their worship. My friend did not feel comfortable with the way the book was being used to make claims about Scripture. Those claims were being used to encourage a more participatory worship event. Participatory, in this case, was measured by the number of uplifted hands during the worship music. I’d be willing to bet that Chris Tomlin agrees that this would qualify as a superficial use of a book he co-authored. I’ve never met Chris Tomlin, but that’s what my imagination suspects. I’m gonna review each of the chapters of Holy Roar, focusing only on the claims made about the Hebrew word that each chapter covers. My specific concern is how Scripture is handled in supporting the views espoused in the book. So, get out a Bible or open up Biblegateway in another window to follow along. We will be doing lots of sword drills. But before we get to the first word, I’m gonna state 3 things I like about this book. I like that this book gets people interested in the Hebrew Bible. Bible readers often use multiple Bible translations in their Bible study, hoping to catch some nuance into biblical languages. This book serves people who want to know more about biblical languages. I’m glad those people are out there and I hope those people feel encouraged to take their time and learn biblical Hebrew (=BH) for themselves. There are many free resources on the internet to get folks going. I like the discussion sections of this book. Rather than laying out a certain view, the discussion sections give a handful of Bible verses and questions that a group can study together. These kinds of open-ended prompts often make for great conversations at a Bible study with friends. This is a very important thought that we will revisit at the end of this post. On to the Hebrew…kind of. First, it must be confessed, that the Hebrew is all wrong in this book. I mean orthographically. 100%. Wrong. All of it. This is embarrassing for Bowyer and Bow, the book’s publisher. It is common for pastors to be unfamiliar with BH and simply copy and paste from their favorite Bible software (Logos in this case, as indicated in the Notes section of the book). But, I find it unforgiveable in the publishing world to print a book meant to introduce English speakers to BH concepts and yet print 100% of the Hebrew words completely backwards! There is not one Hebrew word in this book that is typeset or printed correctly. One can only assume that Bowyer and Bow did not arrange for a proof-reader who is competent in BH. This is unprofessional and sloppy. I’m sure there are students who would have loved the chance to proof-read a Chris Tomlin book for free. Now imagine all the young or hip Christian readers who will take this book to their local tattoo artist and get incorrect Hebrew inked backwards onto their bodies. While the MLK quote is enough to justify the price of the book, this mistake is enough to justify a full refund. Ok, now on to the Hebrew for real. The first Hebrew word that Holy Roar prints backwards is יָדָה /yadah/. Hebrew moves right-to-left (not left-to-right like English). So the /y/ sound comes first in this word and so is placed all the way to the right, symbolized by the consonant י /yod/. 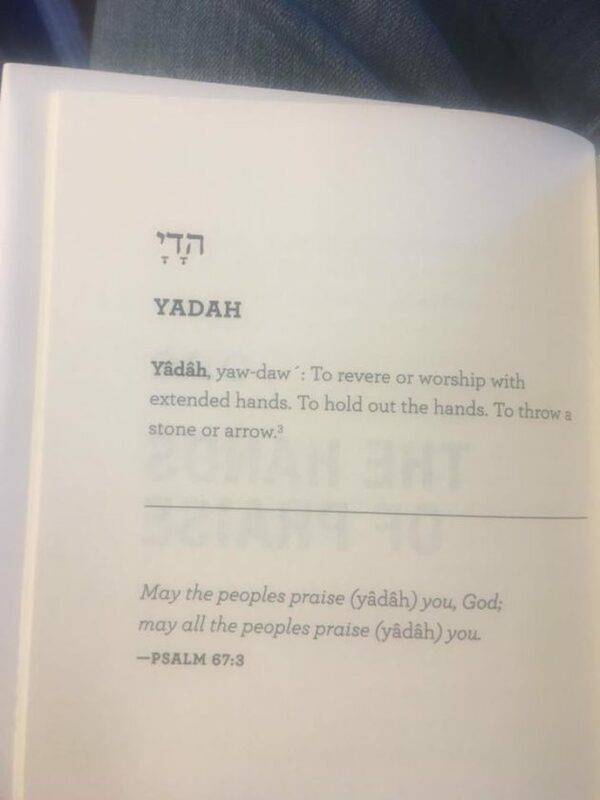 In Holy Roar, the yod is placed at the end (on the left) as if the authors were trying to read Hebrew as one would read English, left-to-right. So, while the authors want to talk about /yadah/ in this chapter, the Hebrew word that is printed is /haday/, which is not actually a word in BH. The authors use a number of Bible verses to show what /yadah/ means. Unfortunately, not all the examples they cite are actually the same word. Here, each verse that is cited in the chapter is discussed. all you soldiers who are armed with bows. Shoot all your arrows at her! Do not hold any back! This is not a good verse to use as an example for /yadah/ because it has textual variants. Some manuscripts have /yarah/ here and /yarah/ means “throw, cast, shoot” in the Qal verb stem. Many commentators accept /yarah/ as the correct reading. This verse is also not a good example of /yadah/ as “praise” because this verb is in the Piel verb stem. Also, the directionality of this verb is not upward, as the authors suggest this position symbolizes. Rather, in these cases with the Piel verb stem, /yadah/ means to “cast/throw down”. The example from Lam 3:53 is a good example of this downward motion. “All he has made will give thanks to the LORD. The book claims that this verse is an example of this verb used when “the Hebrew people were so overcome by the glory of the Lord that their hands shot upward in response” (22). However, there is nothing in this verse (or this psalm) that specifies upward hand motions. The only hand mentioned in this psalm is God’s hand in v16. Leslie Allen writes in the NIDOTTE theological dictionary (made by Zondervan as an educational compliment to the NIV as the NI in NIDOTTE symbolizes), “The verb primarily refers to an acknowledgement…Usually the acknowledgement is one of praising God; less often it is one of sin. The praise may be of a general type, but it tends to be specific, the giving of thanks for resolution of a recent crisis. This occurs mainly in the Psalms, but the prayers of thanksgiving in 1 Chr 29:13 and Dan 2:23 are comparable” (NIDOTTE Vol 2, 398). In this way, Bible readers might ask themselves what specific kind of praise is being offered in each usage of /yadah/ across Psalms. For BH nerds, note that this verb exclusively occurs in the derived stems of Hifil and Hitpael. This is a reason why more thorough lexicographers (HALOT, DCH, Gesenius 18) have separated /yadah/ into different words: /yadah/ 1 and /yadah/ 2. The first usage of /yadah/ sits on sparse BH data. The Qal example from Jer 50:14 is likely actually the verb /yarah/ and the other examples (Lam 3:35; Zech 2:4) are in the Piel verb stem and symbolize downward motion. However, /yadah/ 2 is the verb of praise and confession reserved only for the Hifil and Hitpael stems. This suggests that Hebrew Bible readers may rightly interpret these as two distinct words that do not share in any pattern in the verb stems. One word is only in Piel. The other word, with the same root spelling, is only in Hifil and Hitpael. They are not the same word. “Let the nations thank you, O God! This is a great example of how praise means giving thanks. In the context of this psalm, all people groups will show their thanks to God for being just and saving people. Note how many translations render this usage of /yadah/ as “give thanks”. There is also nothing in this psalm regarding hands or one’s posture during worship. Rather, the focus is on being expressing thankfulness/praise. Again, in this verse, the context is God’s power (deliverance from enemies in the previous verse) and so /yadah/ is the response of praise/thanksgiving, not a position for one’s hands. But this is not to say that hands aren’t important in giving thanks. Just in the psalms, “hand” (/yad/ in BH) occurs 94 times over 89 verses. Most of these usages of hands refer to God’s hands (symbolizing his power). Many other times, “hand” in Psalms refers to the hand (or power) of an enemy. However, only 5 times (by my count, please double-check me), does /yad/ refer to the worshiper’s or psalmist’s hands. These cases are Psa 28:2; 77:2; 143:6; 18:34; 144:1; 134:2. Psa 28:2; 77:2; and 143:6 refer to hands asking for help. These cases are desperate situations where outstretched hands are a sign of weakness and need for a savior. Psa 18:34 and 144:1 refer to the psalmist’s hands being trained by God for battle. While these two categories of one’s own hands in Psalms are indeed related to one’s relationship with God in each of those contexts, this is not “hands of praise”. There is only one explicit “hands of praise” reference in Psalms: 134:2. In this verse, the psalmist commands (with an imperative verb) worshippers to raise their hands toward God’s Temple and bless the Lord while doing so. This is not a context of desperation. This is not training for battle. This is the only example of “hands of praise” in the book of Psalms. It is surprising that the authors did not use it as an example. It should be noted that Psa 134 is one of the Ascent psalms. These were psalms that were used for Temple celebrations. Given that formal setting for ancient Israelite holidays, it would be legalistic (and anachronistic) to use this verse as a command for modern worshippers to raise their hands during a worship service. If “hands” occurs in Psalms over 90 times, but only 5 of those refer to the hands of a worshipper (and those 5 are of 3 different kinds), then “hands of praise” cannot be reliably suggested as an important theological category in Psalms. Rather, the “hands” we should praise are God’s own hands and we can do that with or without raising our own. We would do well to learn the words of Dr. King, as the authors suggest, and practice worship with a focus on community. That means making sure everyone is included in the service. It does not mean that everyone participates in a prescribed way. If we are to really learn the “whosoever will, come” doctrine that Dr. King describes than we must be more concerned with establishing relationships with everyone whom we worship with than we are concerned with the congregation’s physical posture during worship. We should be more concerned with people being there rather than how they use their hands when they are there. Most of the time, as in Psalms, our hands in worship are to be extended laterally, toward another in making a relationship. That makes worshipping God truly a community experience. Next chapter later this week. N.B. that “tax evasion” is legally rather strictly defined as something fraudulent. Merely avoiding taxes by non-fraudulent legal means, however creative they may be, is not evasion. I am not a lawyer either. But in my non-lawyer opinion, a creation of a separate company to self-publish like this doesn’t sound like evasion. For my part, I can’t blame anyone for arranging their business in such a way as to minimize their tax burden, and if that’s part of what happened here, more power to them. The part about the Hebrew writing is still inexcusable of course. Thanks Eric. I agree. Perhaps I should say “tax avoidance” instead of “tax evasion”. 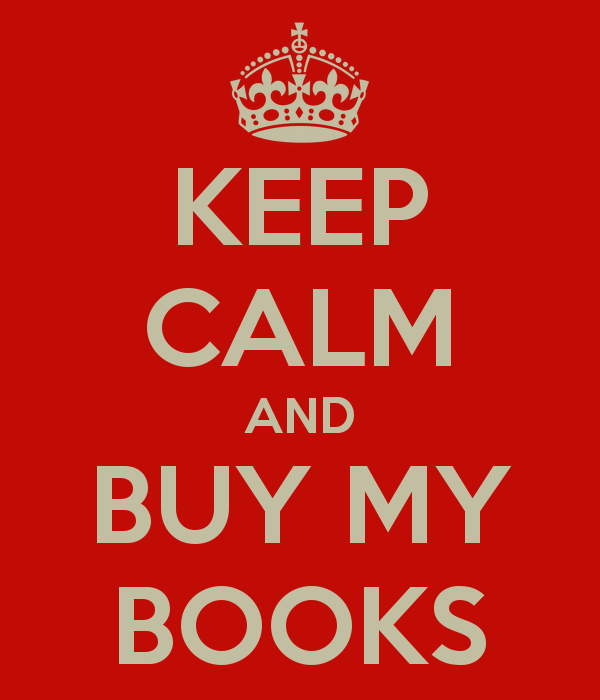 Nevertheless, I do find it deceptive to represent the book as published by a book publisher when it in fact is not. They even made a publisher logo for the spine of the book that looks like other reputable publishers. Not illegal. But not honest. But since I am currently reading “The Exodus”, by Richard Elliott Friedman, I thought I’d add this.